For any of you that keep up with my creative services business Mad Meg (follow us on instagram here) you know that we've been executing an extensive PR campaign for FleaStyle - an upscale flea market taking place tomorrow from 9am-4pm at Silver Street Studios. 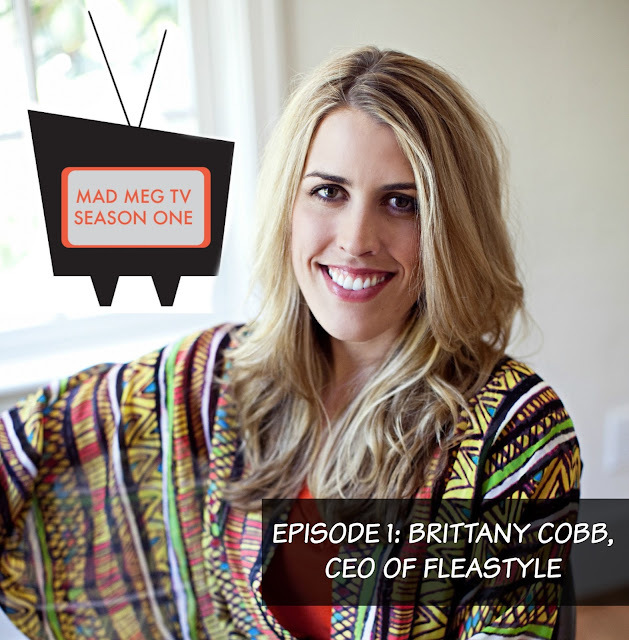 We secured a segment for Fleastyle owner, Brittany Cobb, on Great Day Houston this morning which, despite doing regularly for clients, is still always exciting and fun. Especially this morning as, my kiddo, Macy got to model in the segment. *Macy comes in at 3 minutes and 15 seconds. Today we also launched the pilot episode of Mad Meg TV. This is a web series in which I chat briefly with Mad Meg clients about their businesses or brands and anything new and exciting that might be going on within their ventures. Check out our very first episode in which I chat with Brittany about tomorrow's show! Julie and I plan to get there right at 9am! Come say hi if you'll be there as well!